"Called Lokál and they're booked solid tonight. Same story at Celnice, Kolkovna, and Malostranská beseda. Parents and friends visiting. Need a table for 13. Any ideas?" It was my good friend, G-Man, pleading for help. The large size of his party gave me pause. Even if I could think of a good place, it could be tough to find a big table on short notice on Friday night. Then, an idea popped into my head. "Why don't you try The Prague Beer Museum Pub?" 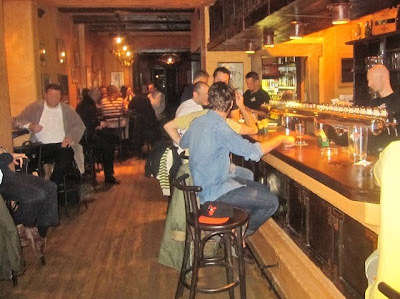 "It's across the street from Lokál, it just opened, and they have 30 regional Czech beers on tap. I can't vouch for the food, but someone did tell me they had a hamburger there." Miracle of miracles, he was able to book the table and was much relieved. I agreed to meet them there after work. 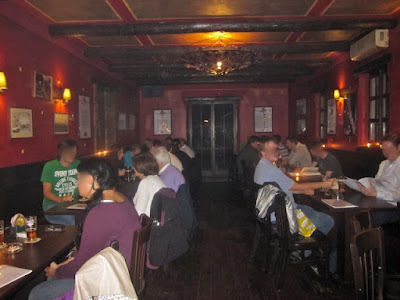 The interior of the pub has a warm, lived in feeling. 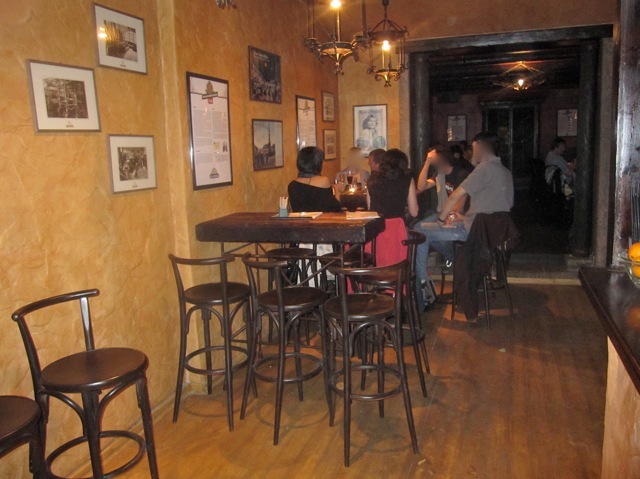 There are worn wood floors, exposed wood beams, and lots of stools. The highlight is the bar, with its 30 taps in a line. When I got there, G-man and his party were all talking about the beers they'd tried and trading glasses back and forth for tastes. One of the first beers I got to sample was the Starokladensky Medovy, a 14 degree amber honey lager (54 CZK). It was one of the more expensive half-liters. Unfortunately, I didn't like it. The menu says it's a bottom-fermented lager that is double mash brewed with triple hops. What I picked up most of was the sweetness. The dominating flavor of honey was just too much for me. Next, one of the ladies offered me a sip of the Skalák from Pivovar Rohozec (38 CZK). It's a 12 degree raspberry lager. Normally, I don't enjoy fruity beers, but I liked this one. The raspberry flavor was there, but subtle. I thought the sweetness was more understated than the honey beer. But my palate may have been affected by the order I drank them. This pub does serve food, and of course, I was interested in the hamburger. While I was heading there from work, I called ahead and had G-Man put my order in. "Good thing you called ahead," he said later. "The waitress disappears a lot. The food takes a long time. And they're bringing it in from the outside." Sure enough, shortly after my arrival, a guy came in carrying stacks of Styrofoam containers. A few minutes later I received my cheeseburger with fries (150 CZK). 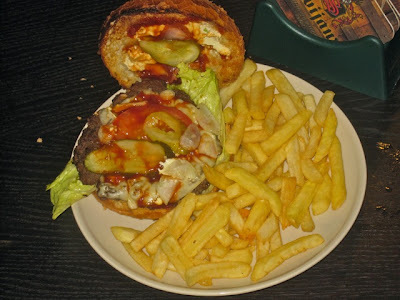 On the large, toasted sesame seed bun, there was a dry, salty beef patty, topped with lettuce, tomato, pickles, onions, melted cheese, mayo, and barbecue sauce. The bun was chewy, but held together well considering the large variety of toppings. It was big, filling, and relatively cheap, but nothing to write home about. It was something like Burger King quality, but with no flame broiling. There was a massive amount of fries. But they had lost heat and crispness during their travels in the Styrofoam. Someone else got the 10-piece order chicken wings (105 CZK). They had their tips, which I don't love, but they were still hot, crispy, and moist. A bit greasy. 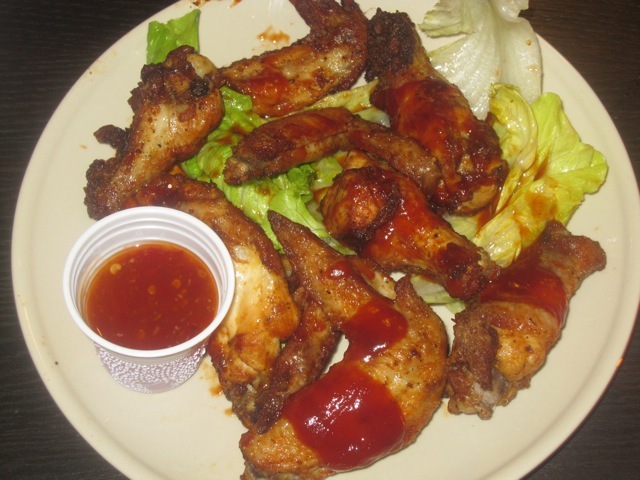 The wings had a sweet-salty crust from a marinade. On top of that was barbecue sauce, and on the side was a plastic cup of sweet Thai chili sauce. The marinade and two sauces was overkill, but generally, we liked the wings. G-Man ordered the chicken quesadilla (115 CZK). This was the biggest disappointment. He said the chicken had no flavor and it was mixed with lettuce, tomato, sour cream, and barbecue sauce. Not a happy combination. Then, the waitress came by. "You're getting food from another restaurant?" I asked. "Uh, yes," she answered hesitantly. "I don't know. Ask the barman." "Come on, you know. Where is it from?" "I don't know. Ask the barman." She looked annoyed and walked away. I didn't need to ask the barman. The answer came soon enough. The name of the place was on the delivery boy's bicycle: Fasty's. It's a simple, little fast food place around the corner. A Czech friend asked the barman if they would ever have their own kitchen. "No," he said. "But this place is about beer, not food." I looked through the door behind the bar and all I saw was a space the size of a closet. So perhaps there's not room for a kitchen even if they wanted to cook. Our thoughts soon turned to beer again. 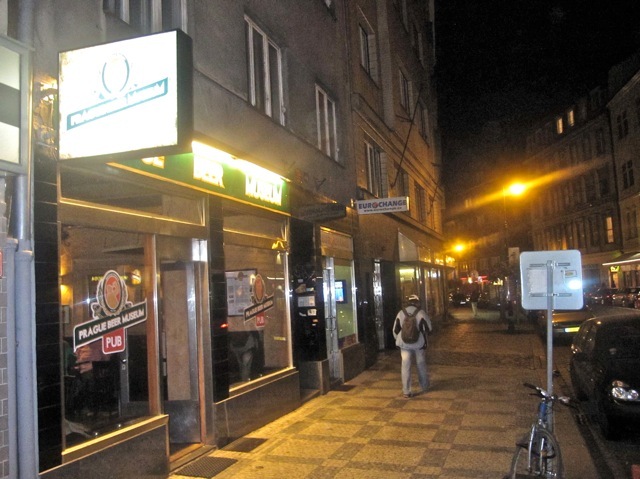 G-Man's friend from out of town was raving about the Kout Tmavý Ležák (60 CZK). This was the most expensive beer we had, but we all agreed it's well worth a try. It tasted of caramel, but it also had a pleasant bitter tang. And this 18 degree beer packs a serious punch. 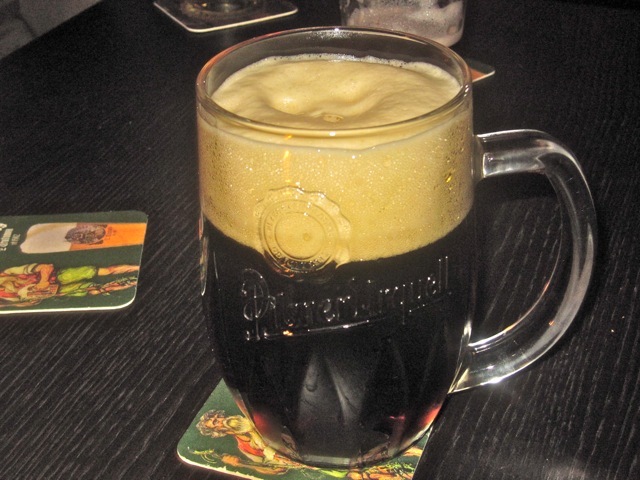 I really wanted to try the Kocour EPA or the Raptor IPA recommended in The Prague Post's blog about the pub's opening night. Unfortunately, both were not available. As the blog post noted, to keep the beer fresh, they order small kegs and popular beers sell out. Instead, I got a half-liter of the 12 degree Janáček Extra (37 CZK). 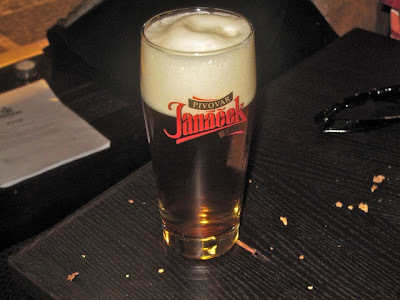 One person really loved this light lager, which the menu said has the "full flavor characteristic of traditional Czech beer with a strong flavor." However, I didn't like it. It had a powerful buttery note that put me off. Another person who tasted it agreed with me. 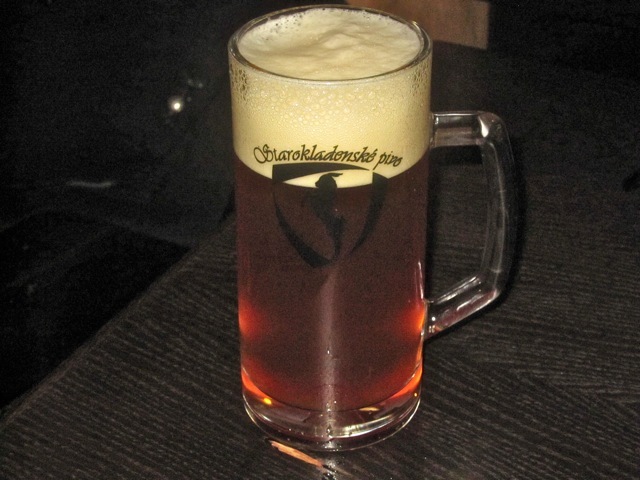 Finally, I had a half-liter of the 13 degree Baronka from Žatecký Pivovar (59 CZK). It was pricey, but very good. The light sweetness was cut by the equally light bitterness of the high-quality Žatec hops. I always feel a little responsible when I make a personal recommendation. So I was pleased at the end of the evening when G-Man came over and thanked me for the recommendation. 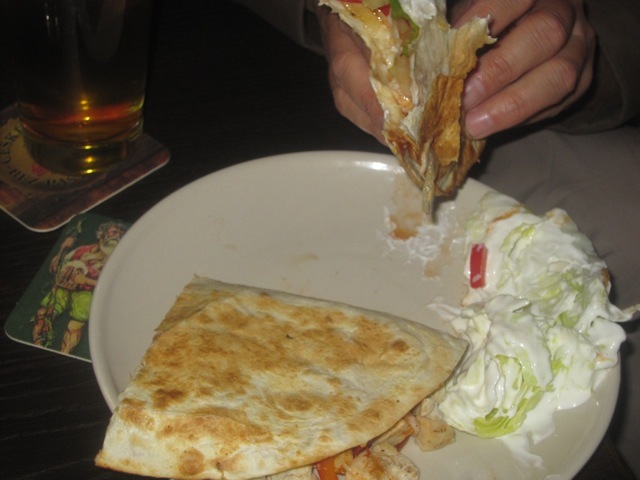 "Yeah, the food and service weren't great, but everyone loved the beer." The group was endlessly entertained with each round, passing glasses back and forth, comparing opinions, and debating what was best. It didn't even matter that we didn't like every beer. There are plenty more to go back and try. So we all agreed with the barman in the end. 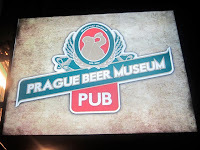 At Prague Beer Museum Pub, it's not about the food. You go there for the beers. 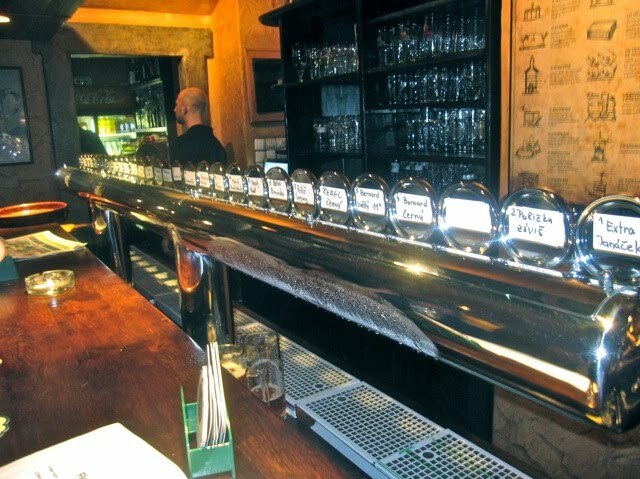 And those 30 taps are a beautiful thing to behold. I like what they are doing. There's still a few things to work out, though (the prices of some of the beers being one of them), but the owner is someone who wants to do things well and is really open to any feedback. I hope they do well. Interesting and we'll definitely try it, but I can't help thinking that because of the prices and because it's so close to Old Town Square, it might get a bit touristy in the summer. Will eat before we go, though, and that's probably what they're hoping, but they realised that encouraging lads to drink a lot of beer without offering something to soak it up might be a mistake! Hi, Will have to visit, next time. 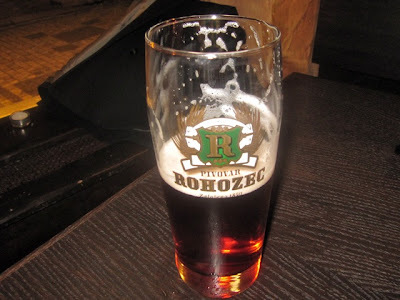 Would love the Raspberry & Honey Pivo,s. Shame about the Food. I went there with a few friends and had mixed feelings. Got to try a regional beer from my grandma's vacations place up north but after that it went a little downhill. Especially when I ordered a raptor and they bring me out a Belgium white beer and try to tell me it was raptor than change their story later. If you don't have it then just say so. Don't just pick something at random! If that wasn't bad enough, they didn't mark down the right beer on the tab so it was a hassle when we went to leave. I will go back again, but lets hope it improves! Maybe get a waitress that actually knows something about beer for starters. I read this blog (and a similar one about the opening) a couple of days ago and decided to visit the "museum." I was eager to try the Tmavý Ležák but they were out of. Same with the Starokladensky Medovy. I was offered the 19 degree porter instead. It was wonderful. 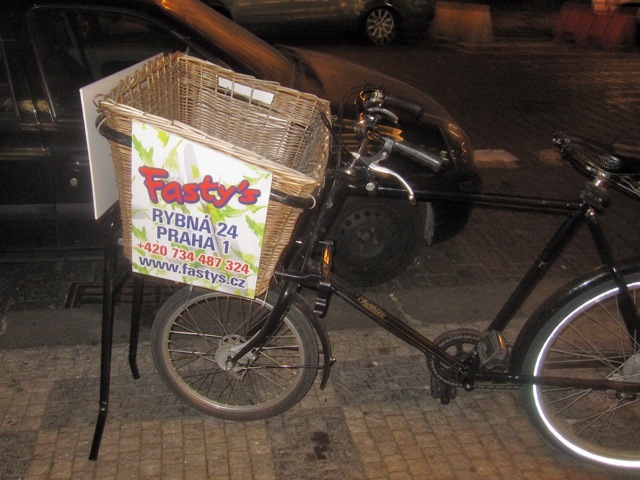 I heard about this place via Pivní Filozof's blog and I've been curious to try it out. However after reading this I've decided to postpone my visit until they do something about the prices. I respect the fact that they're within the tourist zone, but how can they get away with charging 54 CZK for a Kladno beer? I was in Kladno a few days ago and paid less than half that for something similar! The Kout you can just about get away with, but they're just taking the piss with everything else. 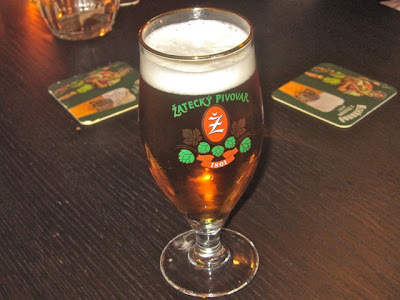 I've been a couple of times and in defence of the service, the same Slovak waitress serving me was very friendly, knew about the beer, and was always there to take my order as soon as I looked thirsty. Prices are a bit high though. We've now been, and while there was an interesting selection of beers, some of which I liked and some I didn't, I don't think we'll be rushing back. It was extremely smokey on the night we were there. Usually, smoking in restaurants doesn't bother me at all, but even I was tempted not to stay and no American I know here would even set foot in the place. And for the first time ever, I kept a note of what we had so that I could check the bill when it came - not because I thought they were dishonest, but because the service was a bit disorganised and I thought they might make mistakes. All in all then, for those reasons, and for the mediocre food, I think I'll stick to Pivovarský klub. The range of beers might not be as extensive, but it's cheaper, the service is more personal and less haphazard and it's non-smoking.